I joined members of our Mayor’s Youth Council last week for a discussion about voting, sponsored by Let America Vote. 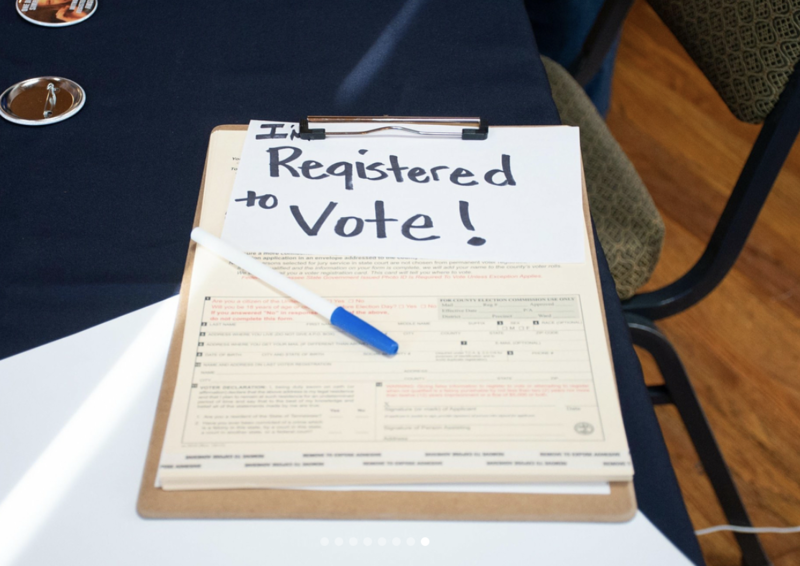 The statistics about voting in Tennessee are grim: We ranked 40th in the nation for voter registration and 50th for turnout in the last midterm elections. During early voting in the recent August primaries, Hamilton County’s turnout was dead last in the state. But what I heard from the high schoolers at our Let America Vote event were not lazy excuses or cynical complaints. What I heard were ideas. Laura from the STEM School believes that we should put more polling places in schools to improve access to voting. Annie from CGLA believes that we haven’t begun to unlock the potential for using social media to organize and mobilize kids to vote. Matthew from Central High School wants to throw a literal party, complete with live music, games, and on-site registration and voting, to boost turnout among people their age. The Mayor’s Youth Council is made up of Democrats, Republicans and independents, white, black, Latino, and Asian. Amid their differences, they all care about our country, and they understand what’s at stake if we don’t make our voices heard at the polls. Each of us has an obligation, sealed in the sacrifices of those who came before, to uphold America’s institutions and traditions. That begins with voting — and if change is going to come, it begins with young people. As hopeful I am about our future, I know we have lot of work to do on our present. We’re making a lot of progress through early learning projects like Head Start and Baby University, but we need to do more. Of the 154 families who have enrolled in Baby U, none have suffered the nightmare of infant mortality. Twenty nine percent of these families were employed when they started; that number is now 63 percent. While the national dropout rate for teen moms is 47 percent, every single Baby U teen mom has graduated or is on track to do so. Every one of those statistics represents a mother, father, grandparent or caregiver in our city. When we can give their kids affordable, safe and healthy places to learn, we’re helping their entire family. At our State of the City address this year, I set a community goal to create 1,000 additional high quality early learning spots in our city. In some cases, we will initiate new programs and expand services through existing child care partners. We’ll also help more kids by providing more training — and more compensation — for childcare providers who want to grow in their careers. At the same time, we will advocate at the state and federal levels for the reforms that create stronger systems that support all of Tennessee’s families. By 2021, 1,000 more children will have a better road to successful lives. That’s 1,000 more leaders, voters, change agents and Chattanoogans who may eventually start healthy, thriving families of their own. That’s 1,000 more dreams for the future of our city and our country. Active voters make our democracy healthy. Healthy, supported children make our city strong. This requires us to make investments at every turn in a young person’s life. We’ve got to connect expectant mothers in high-risk ZIP codes with resources for education, health care and economic mobility. We’ve also got to open the doors of City Hall and literally bring young people to the table. I look forward to doing my part so Chattanooga’s children go even further.